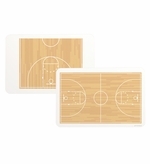 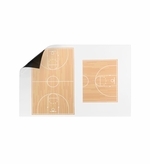 Our full line of basketball dry erase boards are sure to have an option or two that will fit your coaching needs. 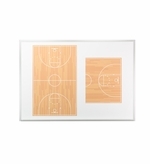 From our wall-mounted locker-room boards to the handheld sideline boards and our roll up dry erase magnets. 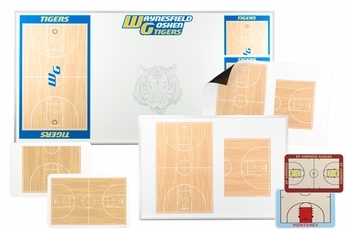 If you need something different or if you'd like to add your team logo or colors we can do that with a personalized board with the same full color graphics and high quality whiteboard surface with any design layout you would like. 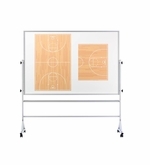 Either create a custom board or give us a call at 1-877-393-0111 and we will get you started.